Below is an interactive property map of Crystal Springs; click on one of the circled numbers to see the corresponding part of the villa. Enjoy exploring! 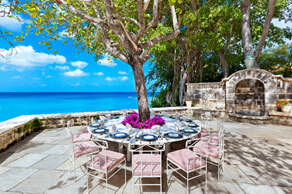 The beautiful cliff-top gazebo and barbeque area is an ideal spot for casual family dining or al fresco entertaining. 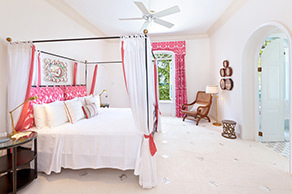 Furnished with a four-poster king-sized bed, dressing room, stunning en suite bathroom with double shower and large windows with views to the Caribbean sea. 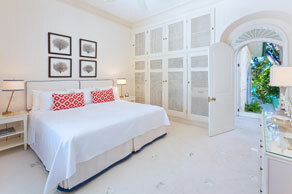 Located in the main house, this bedroom features a king-sized bed and en suite bathroom. 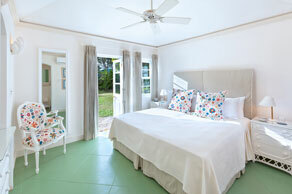 Located in the main house, this guest bedroom features a king-sized bed and en suite bathroom. 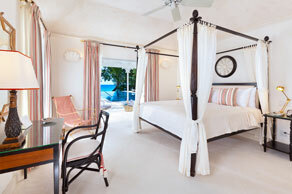 En suite bedroom with king-sized bed, an oceanfront terrace and magnificent views of both the Caribbean Sea and private Gully. 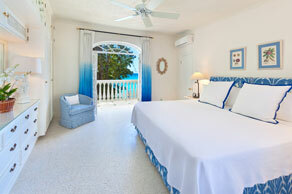 En suite bedroom with king-sized bed, an oceanfront terrace and stunning views of both the Caribbean Sea and private Gully. 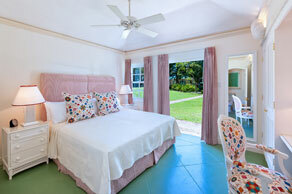 Splendid view overlooking the swimming pool to the Caribbean Sea; features a king-sized bed and en suite bathroom with semi-outdoor shower. 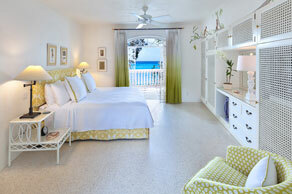 Communicates with Sunset Suite North. Children under the age of 12 are not permitted to stay in the pool cottage. 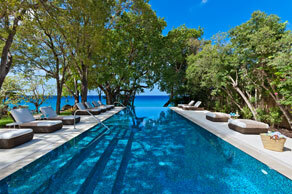 Splendid view overlooking the swimming pool to the Caribbean Sea; features a king-sized bed and en suite bathroom with semi-outdoor shower. 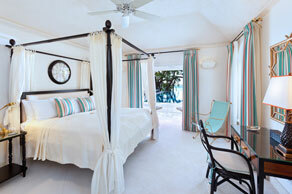 Communicates with Sunset Suite South. Children under the age of 12 are not permitted to stay in the pool cottage. 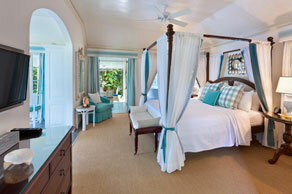 Ideal for young families; the two-room cottage features a king-sized four-poster bed and two twin Murphy beds. An en suite bathroom has both an open-air double rain shower and stand-alone tub; a wrap-around patio completes the living space. 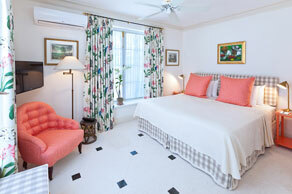 Situated in the garden, the suite features a king-sized bed and en suite bathroom with mosaic tiling. 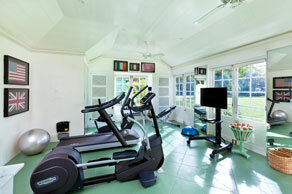 Outfitted with ultra-modern Technogym equipment, the fitness centre is accessible 24 hours a day. 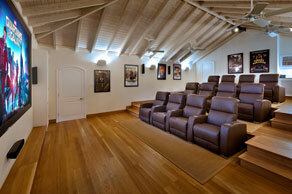 The state of the art cinema features a library of over 150 films; it also connects to your AppleTV and Netflix accounts. 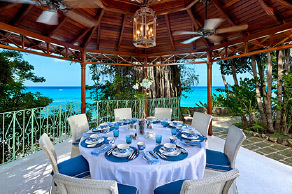 An oceanfront terrace with a unique table built around an Almond tree, providing a fun and unique setting for a casual lunch. 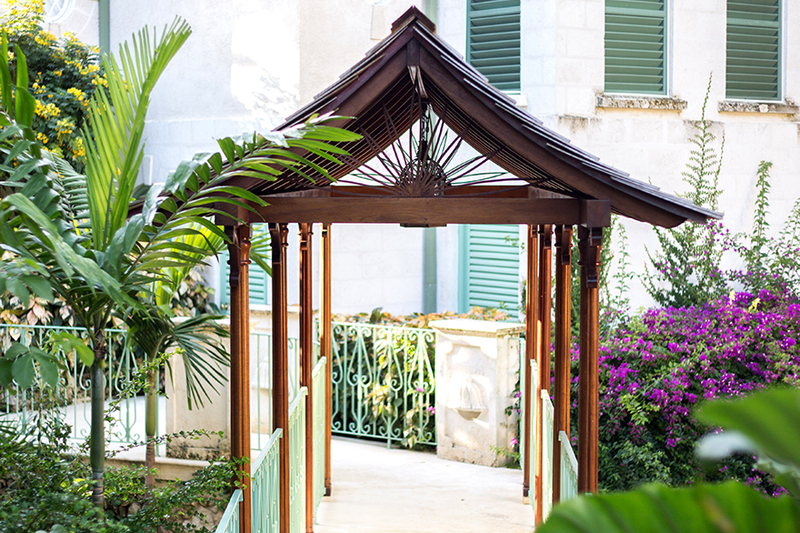 The portico offers breathtaking views of the sea, creating an elegant space for candlelit dining and al fresco entertaining. 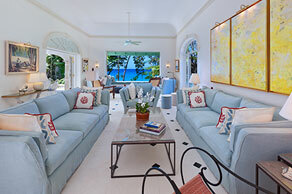 Decorated with a relaxed yet elegant feel, the living room is ideal for entertaining or quiet retreat. 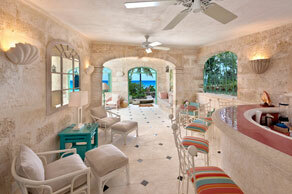 The Annex oceanfront terrace has an intimate bar area, perfect for that afternoon pick-me-up or pre-dinner cocktail. 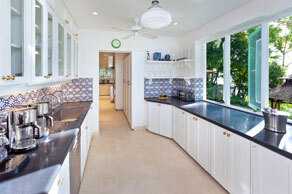 Heated (84°F / 29°C) 50x20 ft infinity swimming pool finished in a stunning blue Bisazza mosaic tile imported from Italy. Finished to the highest specification with commercial grade appliances, the kitchen is managed by the property's expert chefs. 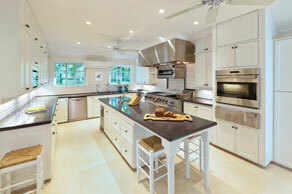 Fully stocked with daily essentials, including breakfast items, tea, coffee, snacks, soft drinks, juices, bottled water. 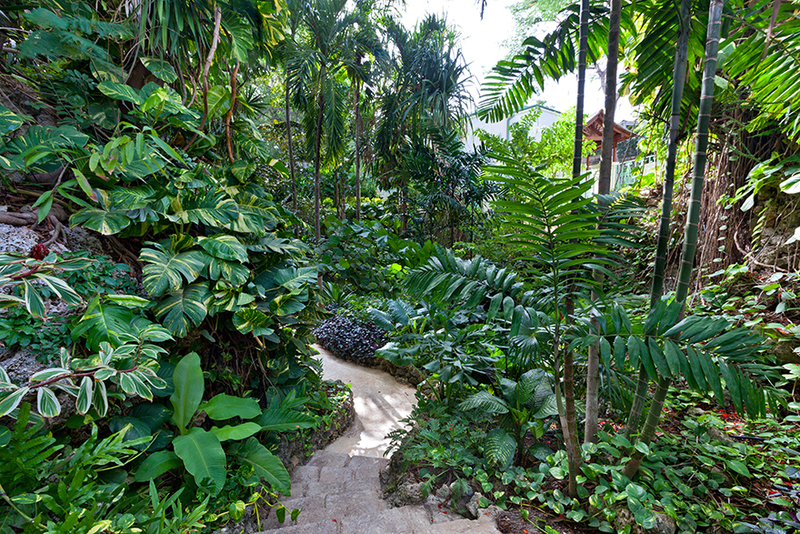 A charming wood bridge arching across the gully, which has been transformed into a delightful garden space. 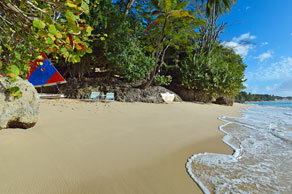 The cove beach is a delightful spot to sunbathe and enjoy water sports, including a cordoned-off swimming area. 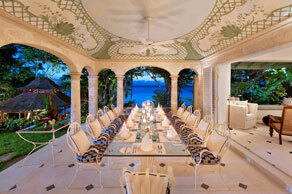 Serene garden space filled with tropical foliage; an oceanfront terrace opens on to the cove beach.